Fleet management companies supply businesses with services and products that allow them to organise and maintain their fleet more efficiently, leaving them to focus time and resources on their core business. But this is not the only benefit to be gained from outsourcing a business’s fleet management needs. In this blog, we explore the many benefits of leaving the experts at the Asset Alliance Group to take care of your commercial vehicle transportation – an essential activity that links you with your customers and suppliers. The series of economic downturns and crises in recent years has forced an increasing number of businesses to rein in spend; in particular, the acquisition of assets. 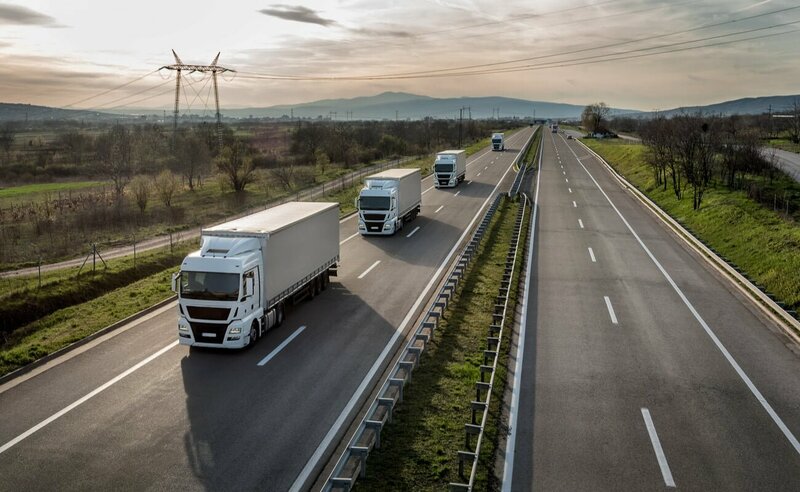 Fleet management outsourcing in the commercial vehicle sector is fast becoming the perfect partnership thanks to its ability to reduce operating costs, eliminate risk and increase efficiency. Breakdown response – you need to get a vehicle back on the road without delay, and this is best achieved via a network of authorised repair dealerships. Fleet maintenance – servicing, repairs, tyre wear and Maintenance of Traffic (MOT) certification is achieved through a scheduled maintenance programme that is managed and booked by the fleet management company so vehicles are always in compliance. Your fleet management company also has access to negotiated rates and volume discounts, which can save your business significant costs in the long run. Fleet penalties and toll payments – motor offences, fines and tolls are centrally managed by an expert team to ensure your business is fully aware of all additional costs associated with driver behaviour. Centralised reporting – includes vehicle performance, compliance, maintenance costs, breakdowns and time off the road, with the purpose of optimising the return on your fleet investment and operations. Outsourcing your commercial vehicle fleet management requirements to the experts means you do not need to spend time or resources acquiring internal fleet management resources. All the time-consuming admin is carried out by external specialists. A fleet management company has the contacts and experience necessary to build professional skills, expertise, processes and expert insights into practices that best suit your transportation needs. This will save you time, money and possibly even your reputation. Since the management of vehicles is not your core business, your staff are best employed in business areas that are most critical to the success of your product or service offering. Outsourcing also provides you with the flexibility to easily increase or reduce the size of your fleet and include additional services should the need arise. What’s more, the most productive fleet management partnerships pass specialist knowledge and advice on to your business, growing your internal knowledge of fleet management best practices. A further benefit an outsourced fleet management company can bring to your business is insight into the various risks within your fleet. Internal non-specialist staff may fail to catch these risks, or be unable to manage them, whereas commercial vehicle industry experts are equipped with the latest processes, knowledge and technologies necessary to help you manage the various business risks. Operating a fleet of vehicles is one of the most significant overhead costs for many businesses. Not only must it be maintained effectively, there are also drivers licence checks, risk assessments and training, as well as compliance issues to consider. Outsourcing puts the experts in charge of staying on top of these critical factors, all of which could pose serious risks to your business if missed or left unattended. Fleet management specialists are able to improve the management and efficiency of your fleet. This includes taking care of maintenance whether servicing vehicles, effecting repairs or overseeing the provision of fuel and emergency roadside assistance services. Fleet management companies are also able to benchmark your fleet metrics against similar fleets in order to make better fuel and vehicle purchasing decisions. Much of the technology, processes and methodologies used by outsources can be made available to internal staff in the form of educational training programmes and certifications. The scope of work provided to your business by your chosen outsourcer is covered by a legally binding contract. There is no similar failsafe when fleet management is left to internal staff. A contract that clearly outlines the terms of the agreement and the services to be provided, gives you clarity and the peace of mind that should the other party break the terms of the contract, you are within your rights to take legal action. 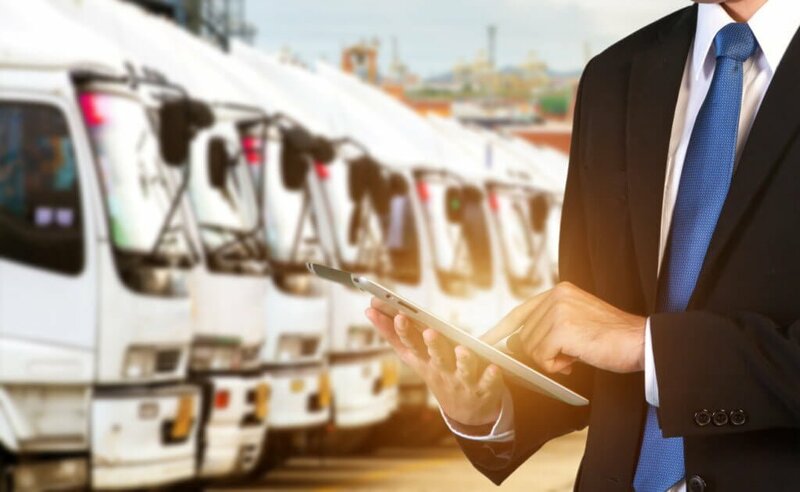 One of the most significant benefits of outsourcing fleet management services is the tools and technologies you will have at your fingertips to improve the efficiencies of managing your fleet. Outsourcing companies invest considerable funds in the latest methodologies and technologies designed to produce ever more detailed and accurate data around operating costs, vehicle utilization, downtime, repair turnaround and repair and maintenance costs. For instance, tracker technology not only picks up when a driver is speeding, over-revving, idling or braking too fast, but also allows you to see when an inefficient route is taken, and tracks when a driver begins and ends the journey. Another important feature alerts drivers when they are speeding, which allows the action to be corrected before it worsens. This technology can save a business as much as 20% of their fuel costs. Increasingly sophisticated systems allow data to be gathered in a way that is most pertinent to your business and real-time needs. Expert analysis of data by industry specialists is the best way to improve the safety, reliability, cost-effectiveness and productivity of your fleet. Fleet management outsourcing gives businesses the opportunity to take the day-to-day burden of complex fleet management out of their core business focus and, in the process, tap into a number of cost savings and improved efficiencies. Your business and your fleet are unique, and these days, fleet management companies like the Asset Alliance Group are uniquely placed to tailor-make a package that meets your budget and your strategic goals. The Asset Alliance Group – an award-winning commercial vehicle fleet management service provider with close to 5,000 vehicles under its management – is able to partner with you to expertly run your fleet, UK-wide. Our Fleet Management team is on duty 24-7-365 and is focused entirely on keeping your drivers legal and safe, and your vehicles (whether on contract hire or lease) in superb running order with the minimum of downtime. Contact our team to talk about how we can design managed fleet services tailored to your needs with all of the features and benefits of our contract hire, lease and HP options as well as potential refinancing of your existing leases and loans.